Grahame is an artist, and teacher at Aurora Christian School. This Cloud sculpture has the hands of many Simply Destinee youth. Grahame also created the ten 6 foot light-bulbs sculptures. 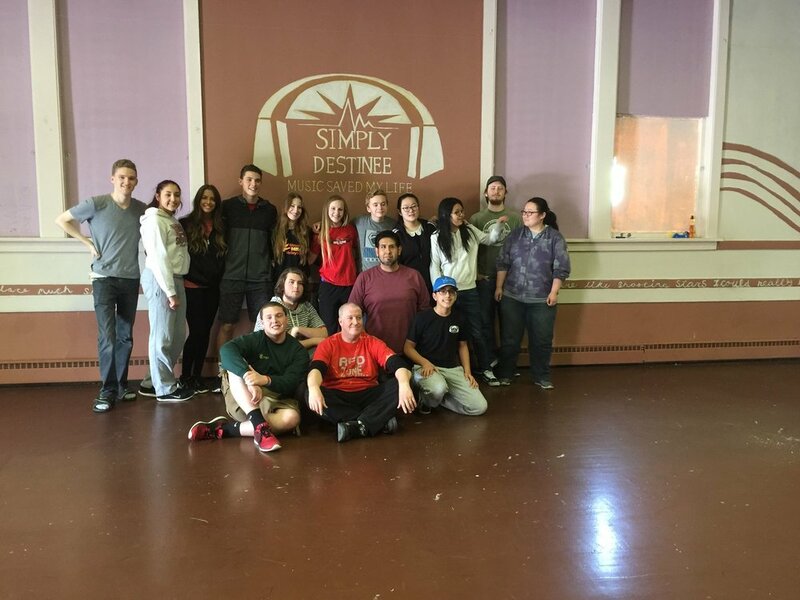 Grahame and students from his art class at Aurora Christian School created the mural at Simply Destinee’s studio at 416 High Street. Passionate, with a heart for giving back.